This is the trend for 2016 weddings indeed: BOHO styled weddings. It does not refers only to bridal dress, wedding set ups, or reception decorations but also to the Bridal Hairdo. 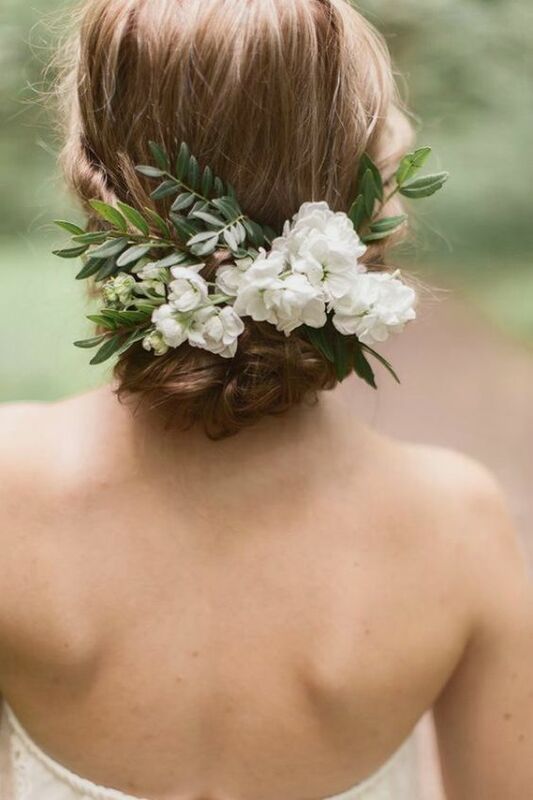 Nothing would be better than fresh white florals and green olive leaves! This entry was posted in Bridal Hairdo, Flowers, General. Bookmark the permalink. Looking for a New Vintage Wedding Ideas?